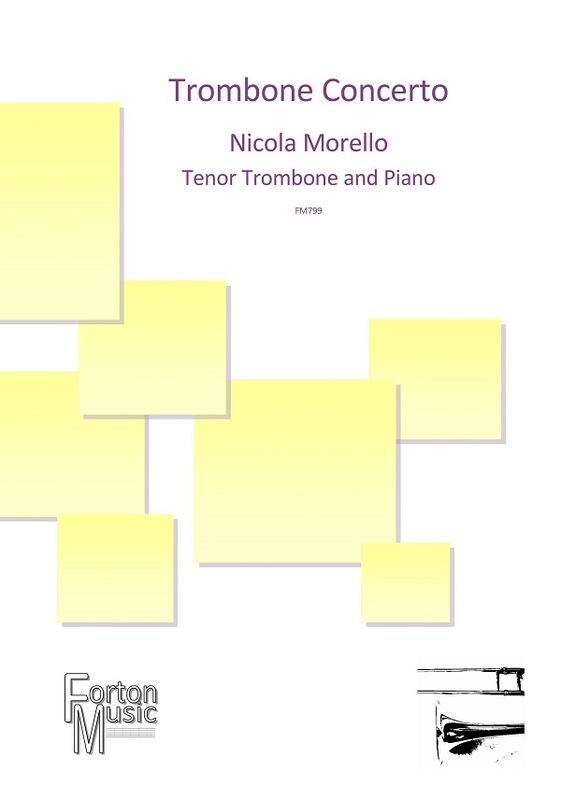 The Concerto Op.85 in B minor for tenor trombone, was composed for one of the “Gambara” Musical Lycée, Edoardo Paletti. 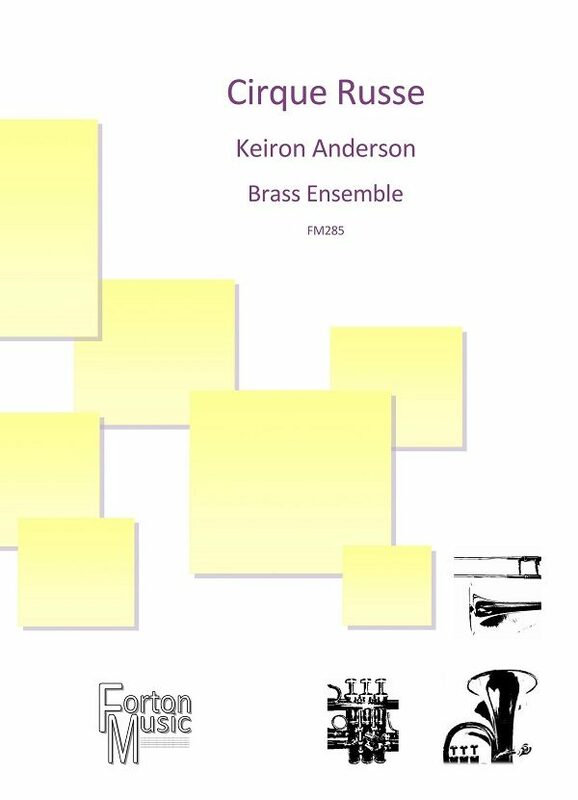 The first problem was to conceive a concert piece that could unify the usual three movements, but without being too long. 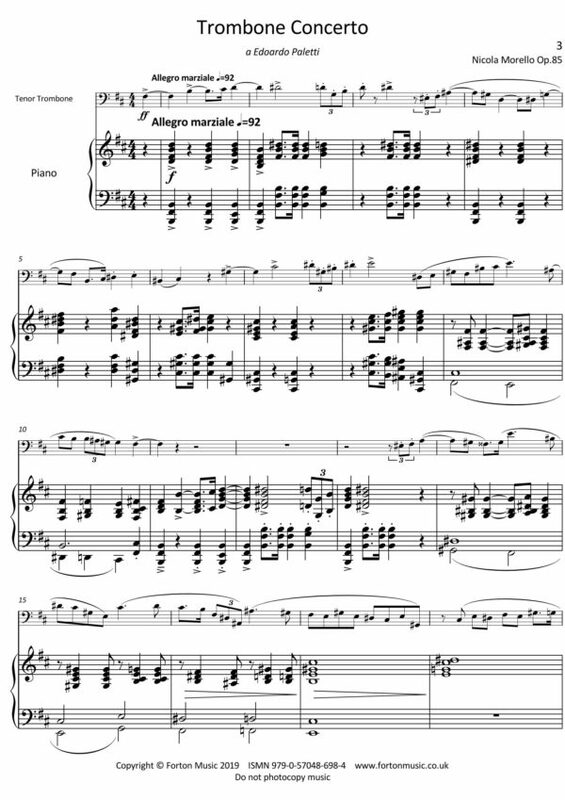 So the composer decided to write a concerto in one movement, divided in three parts: the first (Allegro marziale), is a Sonata-form exposition, starting with a martial theme always in anacrusis, to which follows a second theme in jazz style. 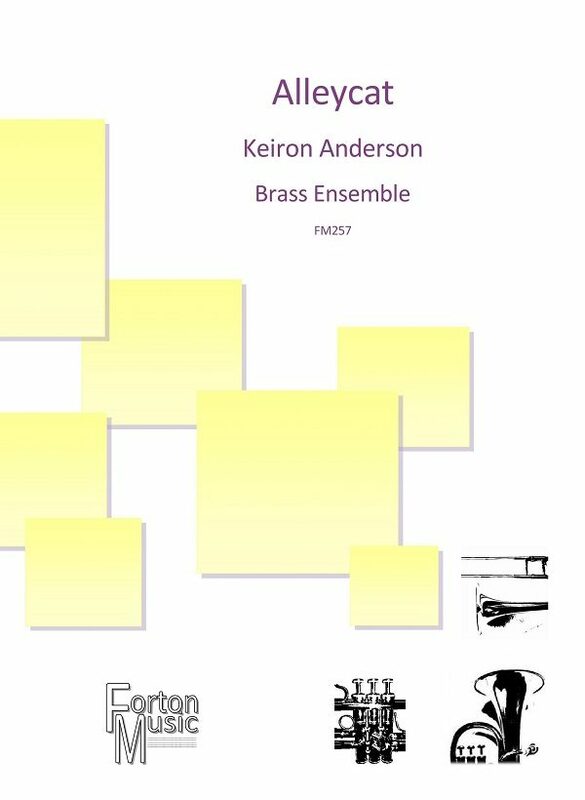 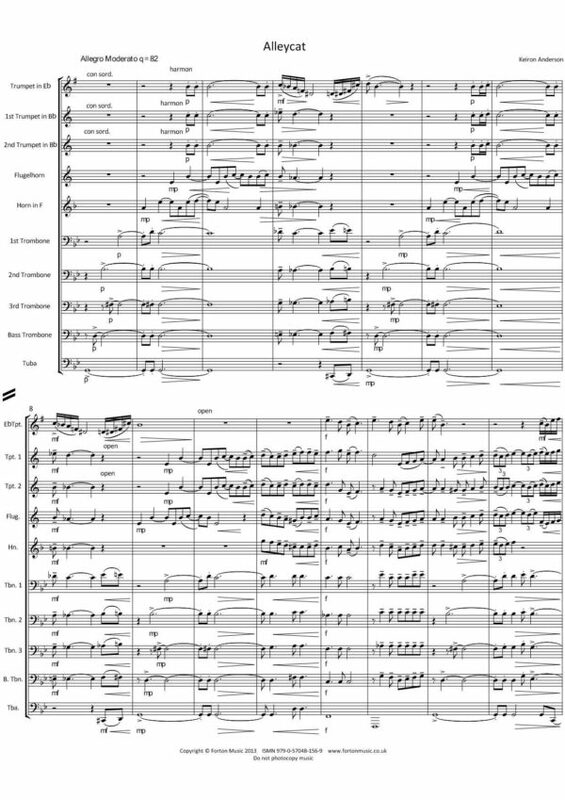 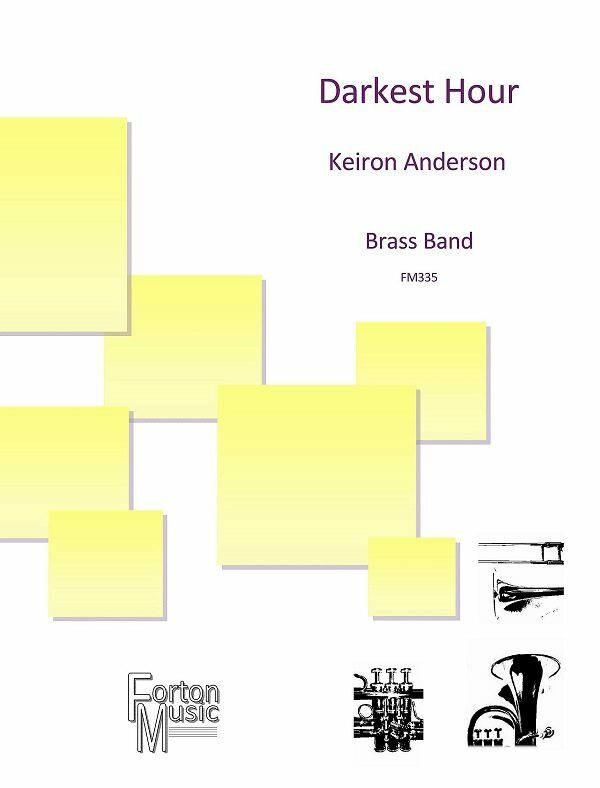 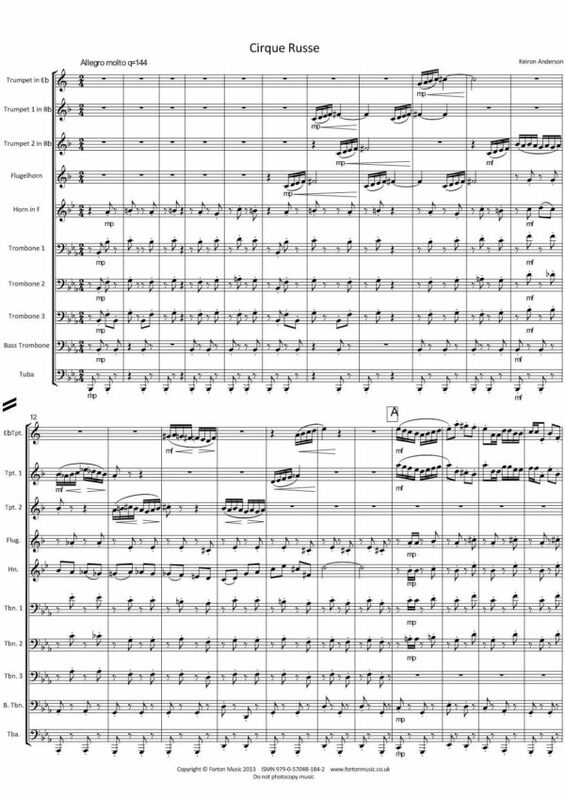 After a short coda, the second movement begins (Andante maestoso), a sort of funeral march, preparing the atmosphere for the first part recapitulation, with an intense and virtuosic Coda.